Duff Home Inspections offers radon testing available to all home owners. Radon is a colorless, odorless radioactive gas that seeps up from the earth, and can enter your home though many areas. When inhaled, radon gives off radioactive particles that can damage the cells that line the lung. Long term exposure to radon can lead to lung cancer. In fact, over 21,000 lung cancer deaths in the US each year are from radon, making it a serious health concern for all Oregonians. 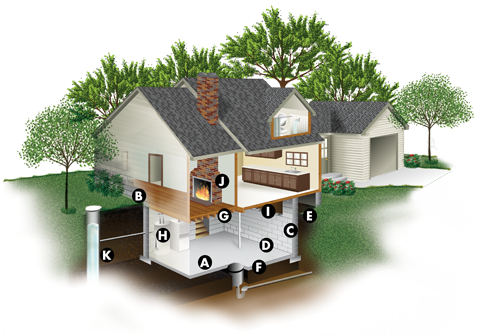 Finding high radon levels in your home does not mean the house is inhabitable. Duff Home Inspections can help set you up with an Oregon contractor that offer radon mitigation solution for all homes.